Why choose Rev. Jeff? Click here to read some Testimonials! 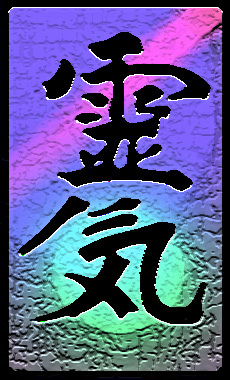 Reiki is a method of healing that was first rediscovered by Dr. Mikao Usui of Japan in the early 1900's. Reiki can be defined as life force energy (chi, prana, ki) which is divinely guided. Reiki is spiritual in nature, but is not a religion. Reiki will work whether a person believes in it or not. Reiki heals by flowing through the affected parts of the energy field and charging them with positive energy. It raises the vibratory level of the energy field in and around the physical body. This causes the negative energy to break apart and fall away. In so doing, Reiki clears, straightens and heals the energy pathways, thus allowing the life force to flow in a healthy and natural way. Reiki is a special kind of life force that can only be channeled by someone that has been attuned to it. Reiki energy comes from the Higher Power, which exists on a higher dimension than the physical world we are familiar with. What is a Reiki Healing Crystal? A Reiki Healing Crystal is a special crystal that has been cleansed and cleared, then dedicated to the Light. Rev. Jeff, an Usui Reiki Master, then empowers the crystal with special Reiki symbols and healing energy and attunes it to your personal vibration. The crystal then becomes a tool that is forever linked to you and allows you to receive continual Reiki healing energies. All that you have to do to benefit from the Reiki Healing Crystal is to carry it with you. 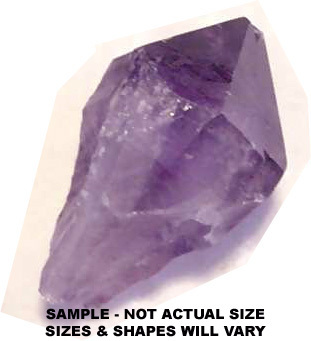 You may also hold on to the crystal during meditation or while receiving additional healing treatments. The Reiki Healing Crystal is not just for those of you who have chronic complaints or ongoing problems. It can benefit everyone. Reiki healing energy helps to keep the aura clean, balance the chakras, heal emotions, and enhance meditation. Everyone can benefit from Reiki energy! To order your own Reiki Healing Crystal, simply click on the "Buy Now" button below. You will be taken to a secure PayPal site, where you can pay by any major credit card. Once your payment has been processed, you will receive a confirmation email, asking for your information and shipping address. You will receive your Reiki Healing Crystal within 7-10 days after making payment. THIS ITEM IS CURRENTLY OUT OF STOCK. PLEASE CHECK BACK. Legal Notice: Reiki Healing Crystals are not meant to replace care by a qualified physician or other licensed medical professionals.